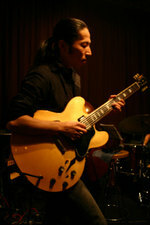 As a reminder: Japanese guitarist and composer Takumi Seino (a graduate of the Berklee College of Music), he is a freelance musician who followed successive years following their own path. As an exceptional guitar virtuoso and improviser has been honored with many awards and distinctions, among which it is worth mentioning the title of Best Guitarist of the Year awarded by Yamaha. In his biography he has entered collaboration with musicians such as m.in . : Blake Newman, Jeremy Stratton, Scott Goulding, David Sinclair and power trains such bands as: Khamsin Six North, EBA, Eiichiro Arasaki Big Band and Next Order. Takumi Seino It operates independently pursuing in a variety of configurations, but in recent years he has custody over the production of their albums, from the mixes, and ending at independently designed album covers. This time musician, he released completely alone, playing on acoustic, electric and baritone guitar. 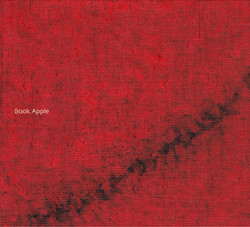 The album "Book Apple" is an album with a unique character, because it honoring the 25th anniversary of the Big Apple jazz club located in Kobe situated on the island of Honshu, which Seino years is associated. This is where the musician recorded excellent albums such as m.in . : "Mood for Red" (2009), "Old Red Chair On The Porch" (2012) and"Flower Flows" (2013), appearing on the club scene in various configurations, such as Drops Trio, composed of Yasutaka Yourozu at the bass and American drummer Larry Marshall. Four days of October 2014, guitarist holed up in the studio recording a series of 25 miniatures music for 25 years in the Big Apple. Among the short scroll by during the hours of the topics we find both rearranged motifs from earlier albums guitarist, as well as new themes and passages improvised. Although the "Book Apple" is composed of very short chamber music recitals, the individual pieces put together, form a kind of highly addictive entirely in a unique and absorbing character. Instrumental short stories sparkle with the enormity of color, moving up while listening to nothing fancy images in a fascinating kaleidoscope of sound. Seino can enchant not only exceptional virtuosity and his distinctive way of playing, but also be prepared endearing microclimate, much more accentuated in the formula of a guitar solo, with which we have to do on this album. The Japanese virtuoso charms various sounds of guitars, discreetly supporting the subtle effects only when it is the most desirable. When are sounded the last notes of topics such as eg. A beautiful "Trace" Eiichi " , or rubbing a flamenco "B-612" - regret that this is the end, immediately it turns into a joy it triggers the beginning of another thumbnails: classicist "Double Dozen" and "Scope for Imagination",impressionistic "Simply" Red "is a charming melody" Late Call "." 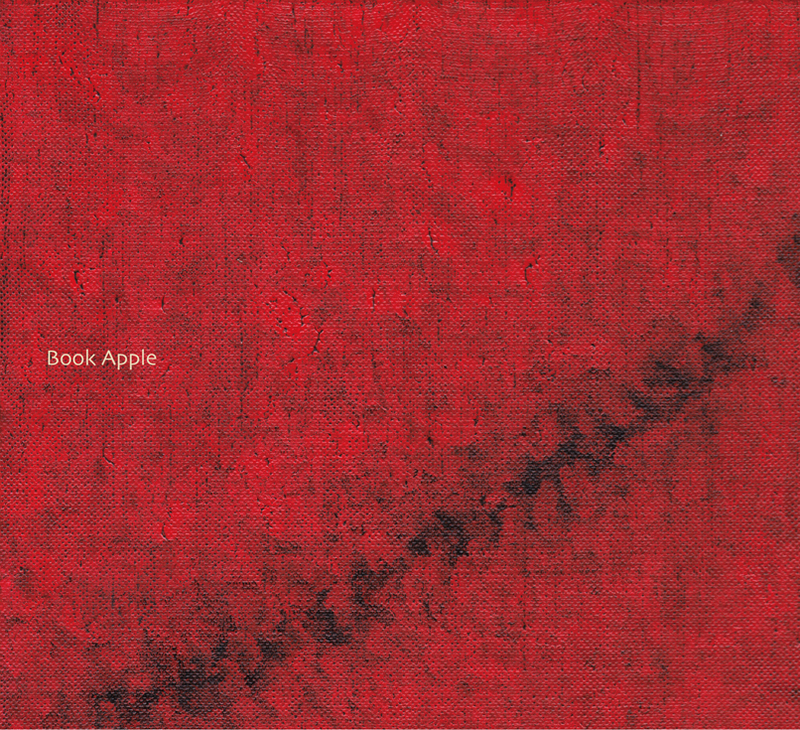 Book Apple "is an album far from the formula of long, complex improvisational tracks recorded with a rhythm section, to which we are accustomed Takumi Seino on their recent albums. No one familiar with previous achievements guitarist, has the right to feel disappointed - we are dealing with a plate by all means unique. Music book composed of 25 short chapters he is "Book Apple" is essential reading really is definitely addictive. The album was released on Dec. 6, 2014.